Santa Claus may see you when you’re sleeping, but NORAD makes sure it sees Santa pretty much round-the-clock. The North American Aerospace Defense Command not only follows Saint Nick’s sleigh ride with its famous NORAD Tracks Santa site, but it is also involved in a struggle over resources, border control and broader military presence right in Santa’s vast and magnificent home: the Arctic. 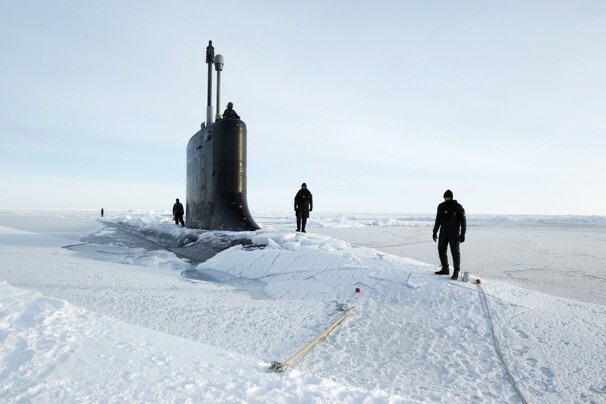 In April, President Obama signed a new command plan that gives NORAD and the U.S. Northern Command greater responsibility in protecting the North Pole and U.S. Arctic territory. A group of 19 scientists from five research organizations have conducted the broadest field study of ocean acidification to date using sensors developed at Scripps Institution of Oceanography, UC San Diego. The Arctic Observing Network (AON) Design and Implementation (ADI) Task Force would like to ask for your help with a brief community survey. The survey is designed to allow the arctic observing community and other researchers with an interest in the Arctic Observing Network an opportunity to provide input for the final ADI Task Force document. 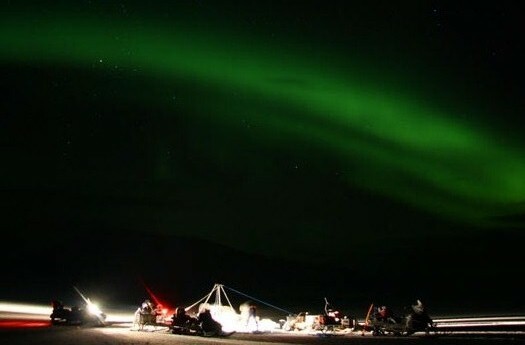 It is envisioned that results from this survey will help to define the state-of-the-art in terms of an observing network for the Arctic; and open questions, challenges, and potential directions to pursue in further research that can inform future AON design and optimization programs and projects. The AON Design and Implementation effort provides guidance to the U.S. National Science Foundation (NSF), the scientific community, and others engaged in arctic environmental observations on how to achieve a well-designed, effective, and robust Arctic Observing System. The Norwegian Polar Institute's peer-reviewed, multi-disciplinary journal —Polar Research— has enjoyed over 100 000 full text downloads from its website during 2011, a mark of success for the journal’s move to open-access nearly one year ago. Since the beginning of 2011, researchers and citizens of the world have enjoyed free access to Polar Research's full archive of older articles as well as its new articles about the Arctic and Antarctic. Readers are accessing Polar Research from 146 countries and on every continent. Over 14 000 unique visitors have visited the journal’s website this year. A group with researchers at the Technical University of Munich (TUM) are the first to plot changes in Earth's axis through laboratory measurements. To do this, they constructed the world's most stable ring laser in an underground lab and used it to determine changes in Earth's rotation. Previously, scientists were only able to track shifts in the polar axis indirectly by monitoring fixed objects in space. Capturing the tilt of Earth's axis and its rotational velocity is crucial for precise positional information on Earth -- and thus for the accurate functioning of modern navigation systems, for instance. The Arctic marine biology group at UNIS has gotten over 12 million NOK from the Research Council of Norway to investigate the vertical migration rhythms of Arctic zooplankton during the Polar Night. – This is genuinely a new and innovative project that will give us important new knowledge about processes that have hitherto been poorly understood, says Professor J?rgen Berge at UNIS. 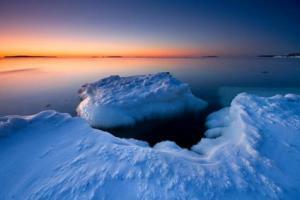 The rate of global warming has been the subject of much skepticism among the refudiater set. A good deal of that skepticism has been directed at the claim that there's been little to no warming since the end of the last millennium, with the main argument being that the warming trends found in countless studies were artifacts of siting, measurement and/or analytical errors. A red herring? Almost certainly, given the abundance of independent evidence of a globally warming world -- the melting of glaciers and permafrost, the shrinking of Arctic sea ice in extent and volume (see also here), earlier bud breaks in spring, to name a few. A huge project in Norway enters its final year in January. The NORKLIMA project, The Research Council of Norway's 10-year Large-scale programme on Climate Change and its Impacts in Norway, is entering its final stages. 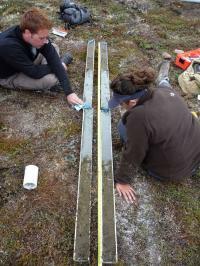 Continued activities for climate change research in Norway are under way. Futuristic robots may be coming soon to an ocean near you. 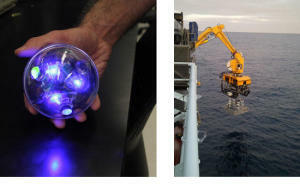 Sensorbots are spherical devices equipped with biogeochemical sensors, that promise to open a new chapter in the notoriously challenging exploration of earth's largest ecosystem -- the ocean. Many of the particles in the atmosphere are produced by the natural world, and it is possible that plants have in recent decades reduced the effects of the greenhouse gases to which human activity has given rise. One consequence of this is that the climate may be more sensitive to emissions caused by human activity than we have previously believed. 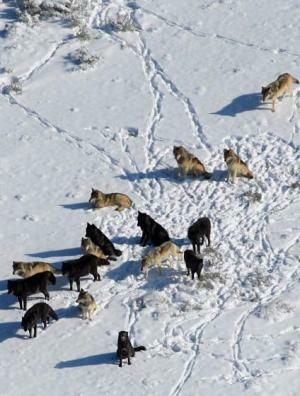 Scientists at the University of Gothenburg (Sweden) have collected new data that may lead to better climate models. 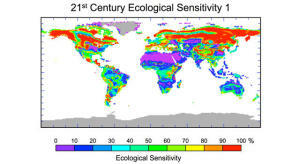 By 2100, global climate change will modify plant communities covering almost half of Earth's land surface and will drive the conversion of nearly 40 percent of land-based ecosystems from one major ecological community type -- such as forest, grassland or tundra -- toward another, according to a new NASA and university computer modeling study. Expanding to new territories, capturing new sources of wealth and influence always was at the center of aspirations of people, states, and capital. The Arctic is probably the last such frontier for human expansion, with the potential of tremendously rich awards for everyone who will be able to access them. 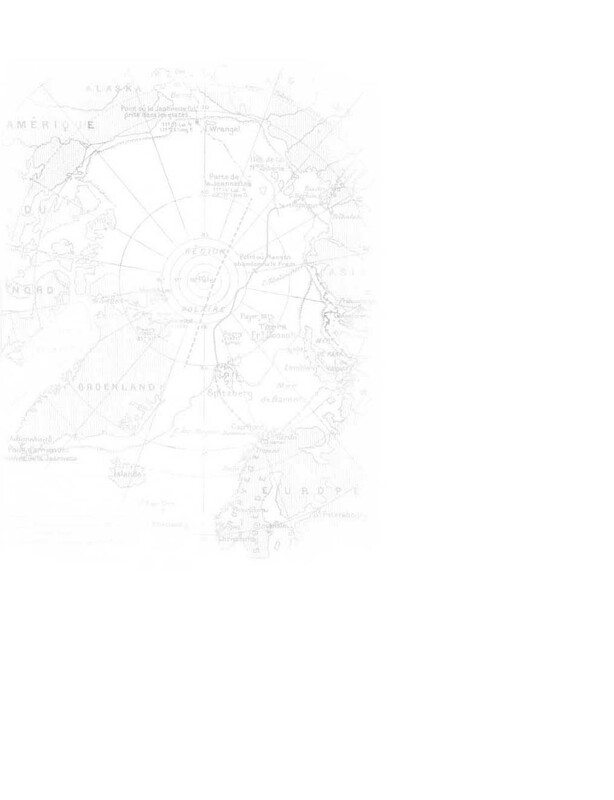 There is a treasure hidden under the icy hat of the Arctic and (so far) largely un-used transportation routes above it. With ice melting faster than expect, the economic bonanza is just opening with precious mineral resources, crude oil, natural gas and gold. 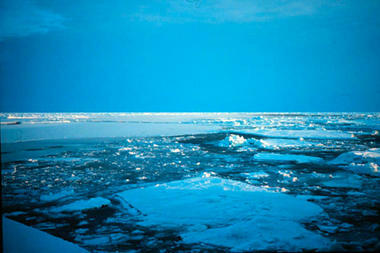 The hydrocarbon deposits in a deep-water area of the Arctic Ocean are estimated at 15-20 billion tons. 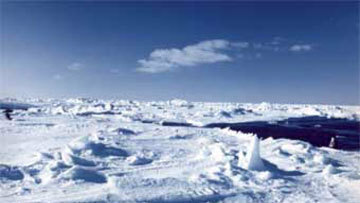 The Arctic also has deposits of nickel, copper, tungsten, gold, silver, manganese, chromium and titanium. 11% of Russia’s GDP and 22% of her exports are already produced in the Arctic. Nitrogen from human activity has been polluting lakes in the northern hemisphere since the late 19th century. The clear signs of industrialisation can be found even in very remote lakes, thousands of kilometres from the nearest city. This is shown in new research findings published December 16 in the journal Science. The research is based on studies of sediment from 36 lakes in the USA, Canada, Greenland and Svalbard, Norway. The researchers have analysed how the chemical composition of the sediment has changed over the centuries. 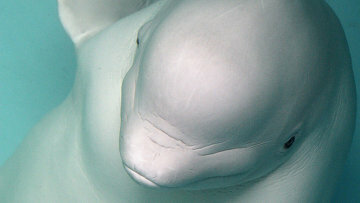 Around 100 Beluga whales are trapped in sea ice in the Bering Sea. They await rescue or face death. The Beluga whale can weigh 2 tons at six meters long. 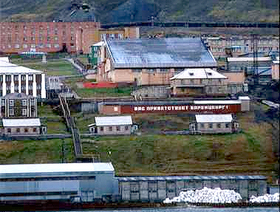 They lie outside the town Janrakynot in east Russia. They can’t feed but authorities in Chukotcha are hoping for an icebreaker to break the whales free. 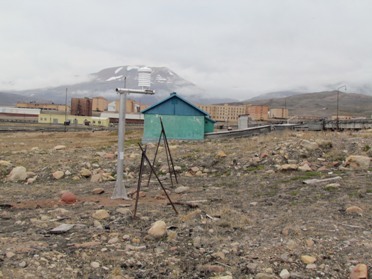 An expedition from the Russian Arctic and Antarctic Research Institute (AARI) have this summer placed an automatic weather station in Pyramiden, 60km north-east of Longyearbyen. The site has previously held an old Soviet weather station from 1947-1957. The employment of the station is a direct result of the Protocol between the Ministry of Natural Resources and Ecology of the Russian Federation and the Norwegian Meteorological Institute on Cooperation in the field of Hydrometeorology. The weather station is a joint program between met.no and AARI. This month the first edition of the Czech Polar Reports saw the light of day. 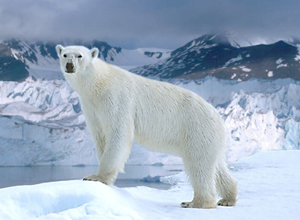 Masaryk University in Brno has recently launched the Czech Polar Reports, an interdisciplinary peer-reviewed journal for Polar Regions. The first issue has two papers that deal with data from Svalbard. The plan is to issue 2 volumes this year and four from 2013 and onwards. The journal and the papers are all online. Russian research team astonished after finding ‘fountains’ of methane bubbling to surface. Dramatic and unprecedented plumes of methane – a greenhouse gas 20 times more potent than carbon dioxide – have been seen bubbling to the surface of the Arctic Ocean by scientists undertaking an extensive survey of the region. 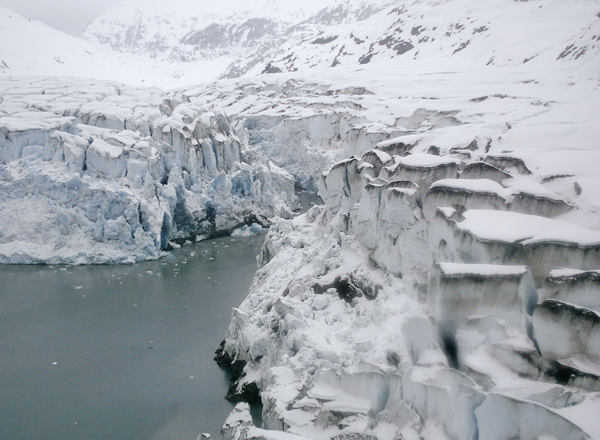 A fast-moving glacier on the Greenland Ice Sheet expanded in a geologic instant several millennia ago, growing in response to cooling periods that lasted not much longer than a century, according to a new Arctic study. Dramatic and unprecedented plumes of methane – a greenhouse gas 20 times more potent than carbon dioxide – have been seen bubbling to the surface of the Arctic Ocean by scientists in the region. 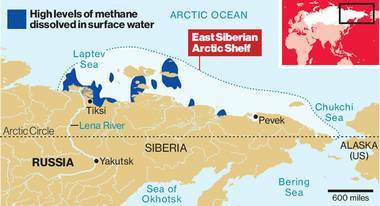 The scale and volume of the methane release has astonished the head of the Russian research team, who has been surveying the seabed of the East Siberian Arctic Shelf off northern Russia for nearly 20 years. This past September The Guardian reported, "Arctic sea ice has melted to a level not recorded since satellite observations started in 1972 – and almost certainly not experienced for at least 8,000 years". The British news source also stated that Bremen University released sea-ice maps showing floating ice in the Arctic (due to melting) covered over 4 million square kilometers in early September 2011. "The previous one-day minimum was 4.27m sq km on 17 September 2007." There are still seven days of melting expected before the end of this year which will significantly surpass levels from 2007. Persistent warming has caused dramatic changes in the Arctic Ocean and the ecosystem it supports. Ocean changes include reduced sea ice and freshening of the upper ocean, and impacts such as increased biological productivity at the base of the food chain and loss of habit for walrus and polar bears. From the meeting in Durban (Photo from COP17 website)From the meeting in Durban (Photo from COP17 website)"Today, we saved tomorrow," the chair of the UN Climate talks in South Africa stated, after lengthy negotiations led to a new climate agreement. 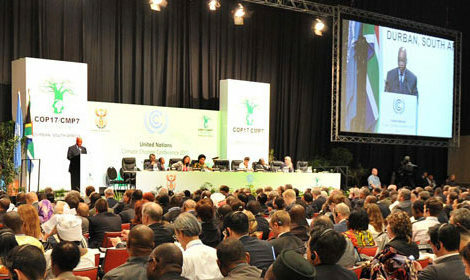 COP17 was extended from Friday and after more talks overt the weekend the agreement was reached late on Saturday. This means that the European Union will follow the request of developing countries to place its current emission-cutting pledges inside the legally-binding Kyoto Protocol. On August 27, 2008, a satellite looking down on the Arctic Ocean observed something possibly unprecedented in human experience. 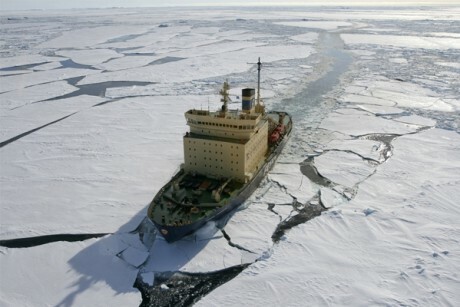 Certainly for the first time in the region’s short recorded history, both the fleetingly navigable routes that skirt this frozen sea – the north-West Passage, and the north-East Passage Russians usually refer to as the northern Sea Route – were ice-free at the same time. For a few weeks that late summer, a ship could circumnavigate the North Pole without being trapped between massive sheets of ice and the bleak shores of northern Siberia or the Canadian archipelago. Staff from NSIDC and the Cooperative Institute for Research in Environmental Sciences (CIRES) will attend the American Geophysical Union (AGU) meeting held in San Francisco, 5 to 9 December. Visit NSIDC staff at booth numbers 1437 and 1439 in the exhibit hall. 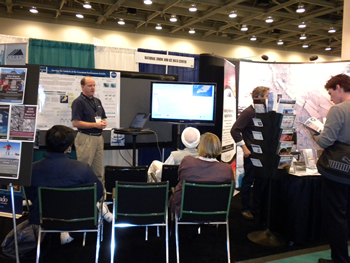 For more information on the conference, visit the 2011 AGU Fall Meeting Web site. Below, find a list of NSIDC or affiliated talks and posters, as well as sessions and workshops hosted by NSIDC scientists and data managers. 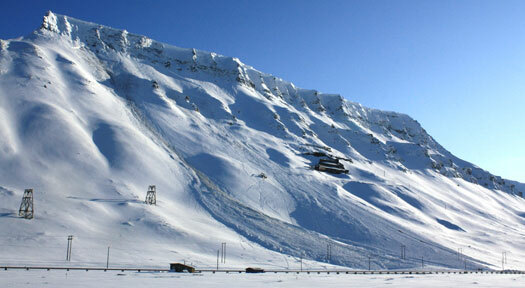 The University Centre on Svalbard (UNIS) is a state-owned limited company and has about 350 students annually. There are about 40 persons on the scientific staff and 25 persons on the technical/administrative staff. In addition there are 24 adjunct professors and about 160 guest lecturers annually. 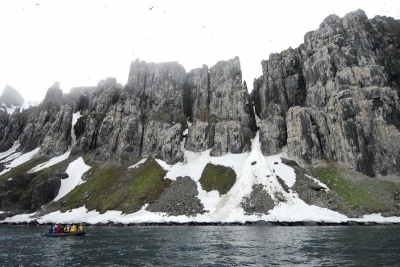 UNIS has four main disciplines: Arctic Biology, Arctic Geology, Arctic Geophysics and Arctic Technology. The Svalbard Research Experiences for Undergraduates (REU) Project is now accepting applications for the Summer 2012 program. The program offers opportunities for undergraduate students to participate in polar science research projects. Applicants must be U.S. citizens or permanent residents. The project seeks applications from motivated junior-year students to join the program for Summer 2012. Students will formulate their own research questions and carry out the associated fieldwork during a five-week field program on Svalbard. Students will complete their projects at their home institution during their senior year. The program will run from approximately 6 July to 21 August 2012. In spring 2011, the International Study of Arctic Change (ISAC) in partnership with the Study of Environmental Arctic Change (SEARCH), ArcticNet, and the International Arctic Research Center, held a meeting at the University of Alaska Fairbanks that brought together representatives of diverse arctic organizations from 11 different nations to discuss the future of collaboration and cooperation in arctic environmental change research. 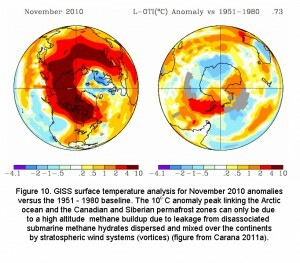 The final report of that meeting is now available at http://www.arcticchange.org. A mantra that has driven global negotiations on carbon dioxide emissions for years has been that policy-makers must prevent warming of more than two degrees Celsius to prevent apocalyptic climate outcomes. And, two degrees has been a point of no return, a limit directly or indirectly agreed to by negotiators at international climate talks. The elections to the lower house of Russian parliament, problems in the Arctic, Denmark’s upcoming EU presidency and the situation in Syria were high on the agenda of the talks between Russian and Danish foreign ministers Sergei Lavrov and Villy Sovndal. The talks took place on the sidelines of the meeting of the OSCE Ministerial Council in Vilnius, Lithuania, on Tuesday, the press service of the Danish Foreign Ministry said underlining that this was Sovndal’s first meeting with his Russian counterpart. Two University of Colorado Boulder researchers who have adapted a three-dimensional, general circulation model of Earth's climate to a time some 2.8 billion years ago when the sun was significantly fainter than present think the planet may have been more prone to catastrophic glaciation than previously believed. The end of the last ice age and the processes that led to the melting of the northern and southern ice sheets supply basic information on changes in our climate. Although the maximum size of the ice sheet in the northern hemisphere during the last ice age is relatively well known, there is little reliable data on the dimensions of the Antarctic ice sheet. 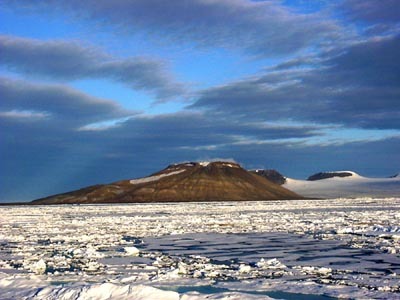 A publication appearing in the journal Science on 1 December now furnishes indications that the two hemispheres attained their maximum ice sheet size at nearly the same time and started melting 19,000 years ago. The Arctic Report Card study suggests that changes at the top of the world have led to unusual weather patterns, a greener Greenland, and lots of plankton. At least the whales are pleased. Global warming has brought a new normal to the Arctic, with warmer air and ocean temperatures, thinner and less expansive summer sea ice, and greener vegetation in coastal regions abutting the open water. The program will consist of presentations from experts on subjects such as the Snow, Water, Ice and Permafrost in the Arctic (SWIPA) report, Short-Lived Climate Forcers (SLCF), and vulnerable populations in the Arctic. In conclusion there will also be a panel discussion on global and regional environmental consequences and necessary actions. 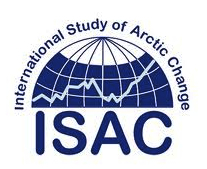 IASC Medals are awarded in recognition of exceptional and sustained contributions to the understanding of the Arctic. A maximum of one award is made each year, assuming that there is a nominee of appropriate quality. The award of medals will normally be by the President of IASC during the Arctic Science Summit Week (or exceptionally at another major international meeting) following the ratification of the award. We wish to inform you about the following Arctic session at the ‘6th SETAC World Congress’ which will be held in Berlin, Germany, 20-24 May 2012. The conference website provides guidelines for the preparation and submission of your abstracts http://berlin.setac.eu. The abstract submission deadline is 30th November 2011.